5) The Big Sick – Although you could probably line up the DVDs of every romantic-comedy and have it go around the world three times, it’s amazing how there are still occasions where someone fines a new angle to explore in the genre. Such is what happens with director Michael Showalter’s film. Based on a true story, the movie follows Kumail (Kumail Nanjiani, playing himself), a Pakistani-American aspiring to be a standup comic, who falls in love with grad student Emily Gordon (Zoe Kazan). When she gets placed in a medically induced coma following a mysterious illness, Kumail must deal with the tension of her parents (Holly Hunter and Ray Romano), all while his own family pressures him into an arranged marriage. 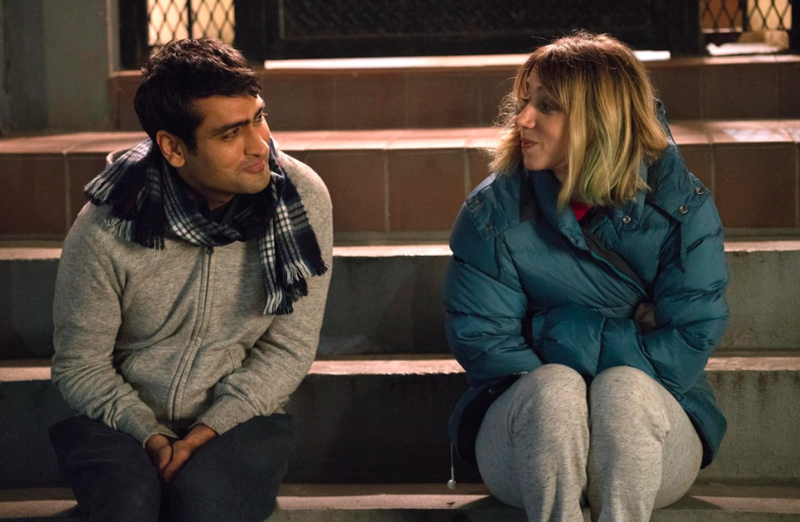 This isn’t only one of the best and funniest romantic comedies in years, but it also manages to shift between the hilarity and drama without it feeling jarring, thanks to Showalter’s direction and the screenplay from Kumail Nanjiani and Emily Gordon. This may seem like a typically quirky indie-comedy on the surface, but it handles the characters’ situations and culture-clash aspect of the story with both hilarity and heart, and with terrific performance from the whole cast, this is the indie movie of the summer you can’t miss. 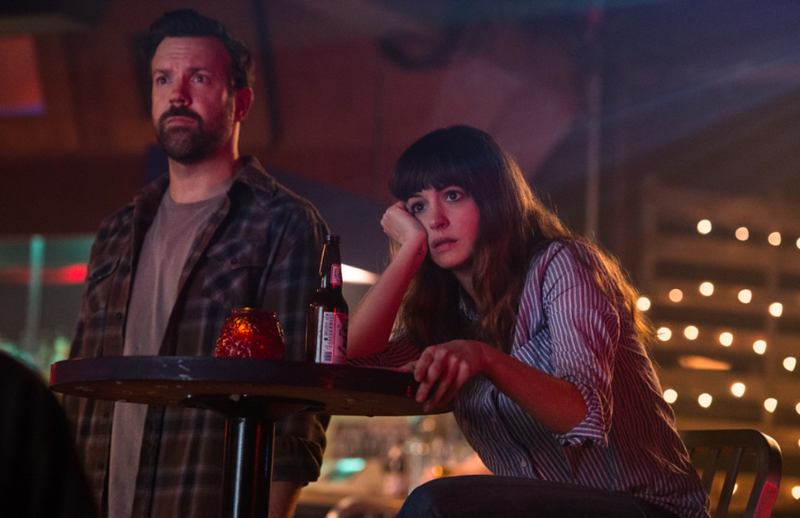 4) Colossal – Much like how the director and screenwriters of “The Big Sick” found a new angle with which to present a romantic-comedy, writer-director Nacho Vigalondo does the same with the monster-movie genre for his latest film. The story focuses on Gloria (Anne Hathaway), an unemployed writer who moves back to her hometown following a break-up with her boyfriend (Dan Stevens). Soon after, a monster begins attacking Seoul, South Korea, and Gloria realizes she may have a mental connection to it. Hathaway is charming and fun to watch in the lead, while Jason Sudeikis provides an against-type performance that shows new depths for his acting abilities. But one of the prevailing aspects of this movie is how, even though it’s mostly a comedy, it’s not afraid to go into some pretty dark territory and deal with issues that offer much weight to its central premise. This is a movie that thrives on its unpredictability, as it presents such an enjoyably bizarre scenario that keeps us anticipating how it will unfold. “Colossal” is a subversive take on monster movies, and with its layered characters and sci-fi thrills, it deserves more attention than it was given in theaters. 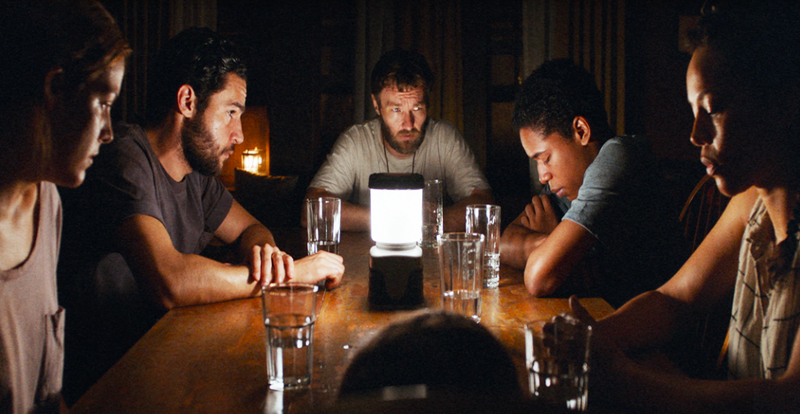 3) It Comes at Night – Over the years, indie horror movies have shown that they can offer so much more than what we are given from the mainstream, and you couldn’t find a better film to do so than with writer-director Trey Edward Shults’ second directorial feature. The narrative takes place in the aftermath of an apocalyptic outbreak of a contagious disease, where a husband and father (Joel Edgerton) and his family protect themselves in a secluded home in the woods. When another family meets up with them, the two groups get along at first, but soon after, paranoia takes hold of everyone in the house. With the shattering performances and bleak atmosphere, this film isn’t afraid to go for the gut when putting us through the emotional wringer. It abandons the usual horror-movie tropes and instead relies on an expert use of sound, lighting, and cinematography to build a situation that’s seeped in dread and will make you want to bury yourself in your seat during certain moments. This is a movie that requires a discussion when it’s over, as there is a lot to analyze, and that helps in making this one of the best horror films of the last few years. 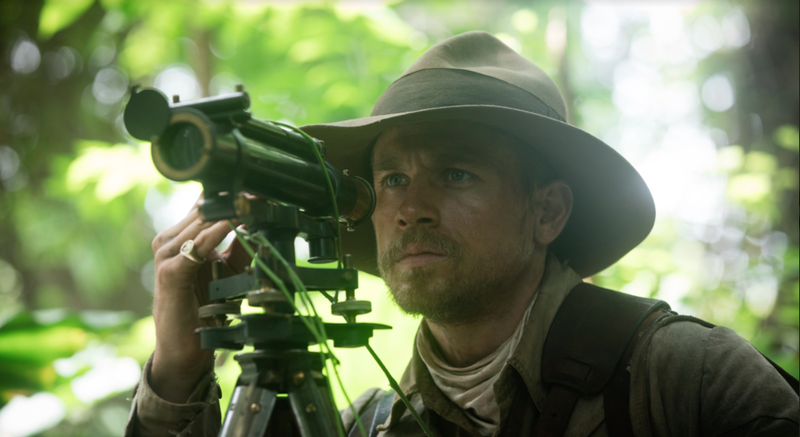 2) The Lost City of Z – Going into this movie, I knew it was based on a true story, but I knew little about it, which made watching this film such an enriching experience. Written and directed by James Gray, the story takes place throughout the first quarter of the twentieth century and follows British explorer Percy Fawcett (Charlie Hunnam), who ventures into the Amazon to follow clues to what he believes is a lost civilization. While I haven’t been a fan of Hunnam’s more recent film performances, his work in this is surprisingly great, with him displaying a full command of his character, while being backed up by a talented supporting cast that includes Robert Pattinson, Sienna Miller, and Tom Holland. Gray celebrates the power of worldly discovery in his film, and with stunning cinematography of the lush Amazonian landscape, the audience goes on one of the grandest journeys in cinema this year. This is an exploration epic that has a touch of old-school Hollywood running through its frames, offering an adventure that’s worth taking to learn about such a fascinating figure and all of the dangers he and his crew faced in order to make significant contributions to the world’s geography. 1) Get Out – Despite what I said about mainstream horror movies when talking about “It Comes at Night,” there’s one every now and then that should be recognized for having more than just the usual bag of horror-movie tricks. Such is the case for the directorial debut of comedian Jordan Peele for his horror-comedy, which he also wrote. 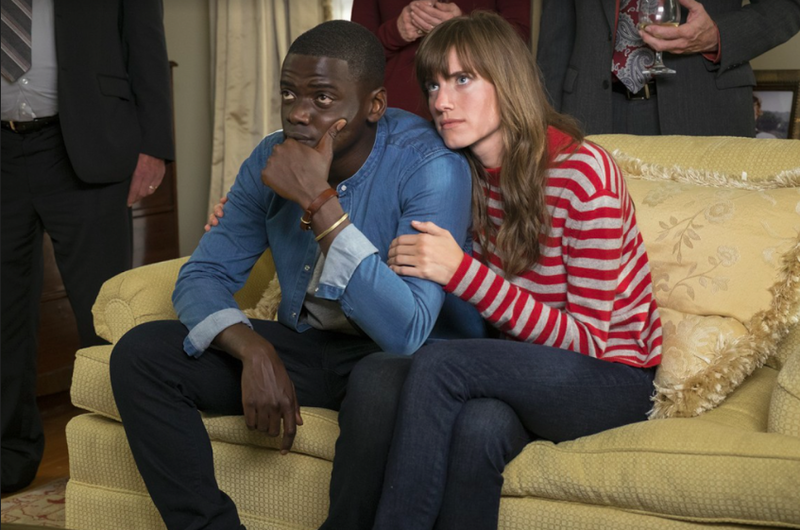 It tells the story of Chris (Daniel Kaluuya), a young African-American man who’s caucasian girlfriend, Rose (Allison Williams), invites to a weekend at her family’s home. After a seemingly pleasant first encounter, Chris realizes his hosts may not be as welcome as they seem. Other than great performances and some memorable frights, what makes this the best film of the year so far is its clever approach to modern race relations and the tensions that are still prevalent today. With a social commentary that’s dark, funny, and always uncomfortable, Peele shows an abundance of talent in his first directorial feature and keeps us unnerved as the events of the film play out, with the sequence involving the family party being a major highlight of not only the film, but of all 2017 cinema as of now. Shortly after the film’s release, Peele announced that he has several more “social thrillers” in mind, and if they’re as inventive and smart as this movie, they can’t get here soon enough.